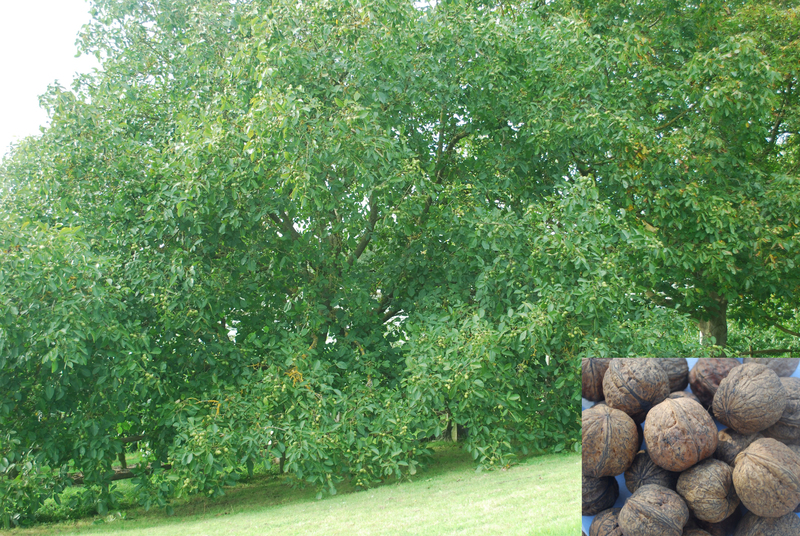 Walnut trees cropping heavily in Kent this year; inset English grown Broadview walnuts. This year has been an excellent one for walnuts with a splendid harvest of English grown walnuts. You can find English walnuts on sale in farm shops, farmer’s markets and food festivals across south east England, as well as on-line. Home grown walnuts are so much tastier than imported ones. They are fresher: harvested this autumn, travelling at most 50 miles from farm to market and very well worth seeking out. Walnuts are not usually sold by the variety, but the grower will be able to tell you which one you are buying. The two I found on sale last weekend were Broadview and Lara, gathered from trees planted during the 1990s and now in their stride, cropping well. This is the time of year to look out for home grown walnuts. The two main sellers are Alexander Hunt of Potash Farm, near Sevenoaks and Edward Lade of Nut Farms, also based in Kent. Potash Farm has its own shop, on-line sales and regional outlets and can to be found at farmers’ markets across the south east: see here for a diary of venues. Nut Farms sells walnuts at Kent markets and every weekend in London at the Saturday ‘Fine Food Market’, Duke of York’s Square, off the King’s Road, Chelsea and the Sunday ‘Farmers Market’ at Alexandra Palace, Muswell Hill; see here for more information. They both also sell home grown hazel nuts and a range of products, which includes hazel nut oil and walnut oil. Check on their websites and twitter for the markets at which you can find them and check the list of Kent Farmers Markets to be held during December in the run-up to Christmas. English nuts will be featured on BBC Radio 4 ‘Farming Today’ next Wednesday 16 December at 5.45 am, also on Saturday 19 December at 6.30am and include an interview with Alexander Hunt. 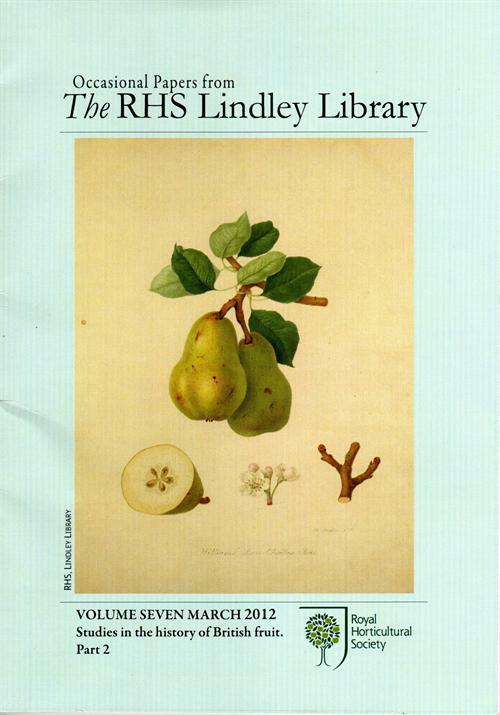 On our main web-site we have a review of ‘Orchard Archive: the National Fruit Collection’ by Joan Morgan published in Occasion Papers from The RHS Lindley Library, volume 7. Sixty years ago the Collection was established at Brogdale Farm near Faversham Kent, a Diamond Jubilee now highlighted by Tom La Dell, joint director of Brogdale Collections, the organisation responsible for public access to the Collection. The Collection is owned by the Department for the Environment, Food and Rural Affairs (Defra) which funds its curation and maintenance, undertaken by the University of Reading and FAST (Farm Advisory Services Team). The Diamond Jubilee of the National Fruit Collection is, indeed, a great landmark for the best fruit collection in the world. ‘Best’ because it is the most comprehensive across the range of temperate fruits and is international in the origins of the varieties. There are 3500 of these on the one site at Brogdale, near Faversham in Kent. Here it truly has a home as the climate and soils are suited to a wide range of fruits, modern fruit growing started nearby in early Tudor times and Kent is the main fruit growing county of Britain. The collection is unique as the apples, pears, plums, cherries, hazelnuts, grapes, quinces, currants, gooseberries, medlars, cider apples and perry pears are maintained on fruiting trees and the fruit is available to the public at Brogdale. Joan Morgan’s article in Occasional Papers is about the origins of the National Fruit Collection. Walking in the orchards it is good to bear in mind its remarkable history led by a mixture of determined individuals with great knowledge and dedication. 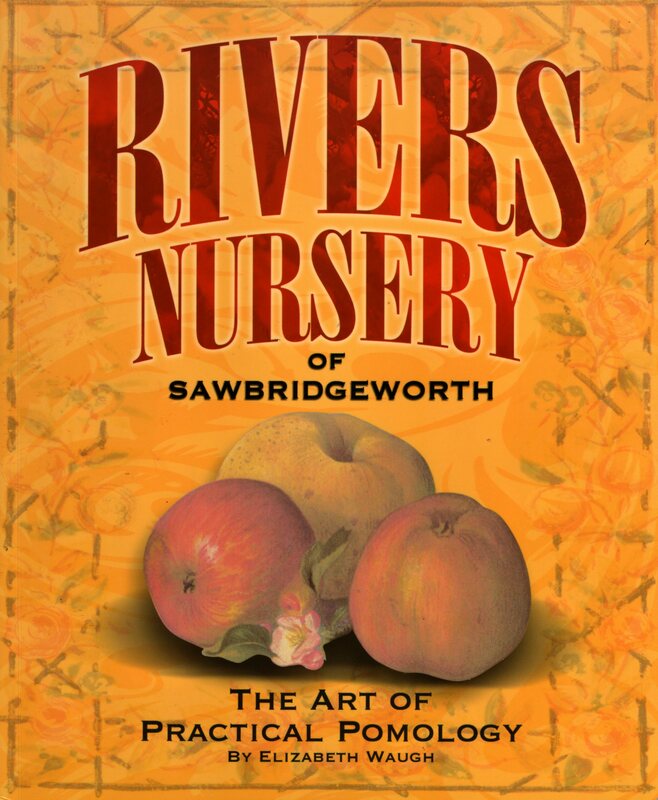 It is somehow a truly British story with its beginnings in the Royal Horticultural Society collection 200 years ago and the mixture of amateurs and professionals who put it all together driven by their love for fruit. All the ups and downs until it was gathered together at the National Fruit Trials at Brogdale 60 years ago are extraordinary as is the story of its purpose for correct identification of the varieties – the English Williams’ Bon Chrétien pear became Bartlett in America and there are many more examples. Verified trees became important for breeding new varieties and the Collection is now part of the international community of The International Treaty of Plant Genetic Resources for Food and Agriculture of the United Nations Food and Agriculture Organisation. Joan herself is one of our contemporary pomologists (many people think she must be related to the goddess Pomona) who has brought to life the fruit in the National Fruit Collection by tasting the fruits and telling their stories. This has been possible because the origins of the collections needed fruit on the trees to identify them. Genetic conservation, in theory, does not now need this as DNA testing can verify the varieties. However, at the end of the day people who buy fruit do so for the taste, texture, juiciness and seasonality, so a collection that bears fruit and that the public can try it is an important part of developing new varieties. The New Book of Apples does all this and we are waiting for Joan’s equally revealing book of pears. Occasional Papers, published several times a year, highlights the Royal Horticultural Society’s world renowned library and is edited by its archivist, Brent Elliott, who also contributes to this volume. It is good to see in his paper how the beautiful early fruit illustrations were so important in appreciating the qualities of fruit varieties. Public access to the Defra owned National Fruit Collection is managed by Brogdale Collections (at no cost to Defra) and we are expanding what we offer in everything about fruit from the history of the varieties and the way fruit was grown (mostly in gardens) to the future, the development of new varieties and why people would be wise to eat more fruit for their own health, especially in Britain. The booklet will be available online on the RHS website and it would be great if readers put their views on Fruit Forum so that there is an even greater buzz about fruit and the National Fruit Collection in its Diamond Jubilee year. The fruit from the National Fruit Collection will be available at Brogdale all year with dozens of varieties to taste at the Festivals. Occasional Papers from The RHS Lindley Library, volume 7, March 2012 (published May 2012); many colour, black & white illustrations; pp.72. Copies of this volume of Occasion Papers from The RHS Lindley Library can be bought by visiting Lindley Library Wisley or Lindley Library London ( re-opens on 2 July), or by post from Lindley Library Wisley, RHS Garden Wisley, Woking, Surrey GU23 6QB. Copies cost £7.50 each, (plus £1.50 p&p). The charitable organisation, Common Ground, launched ‘Apple Day’ in 1990 to mark local distinctiveness by linking the fruit we eat with the people who grow it and the places they make in the process. It was a spectacular success and an energising and inspirational experience for those who took part in that first Apple Day held in London’s Covent Garden. Fruits, of course, feature in this weighty volume along with, for example, cheese rolling, corn dollies, cricket and crinkle crankle walls. Turn to any page and you are immediately among an extraordinary juxtaposition of foods, customs and events – ‘Eccles Cakes’ and ‘Eels’; ‘Glow Worms’ and ‘Gooseberries’; and ‘Wells’ and ‘Wem Sweet Pea Show’. The Westmorland damson is mentioned, as are Taymar cherries and Black Worcester pear, but I was disappointed that the National Fruit Collections itself did not merit an entry. The Collections, at Brogdale in Kent, have been at the heart of the revival of interest in local fruits, providing samples and graft wood to inspire and create the new orchards. They are such a uniquely English phenomenon. Nowhere else in the world has as diverse and fully documented collection of fruits growing one site, it deserves a place surely in any celebration of the distinctive. This aside the book is packed with facts and charm and illustrated with numerous and different styles of line drawings contributed by many artists. Strongly recommended, this will long be a guide to the multiplicity of things that make up the individual character of our regions and localities. Book details: England in Particular; A celebration of the Commonplace, the Local, the Vernacular and the Distinctive by Sue Clifford and Angela King with Gail Vines, Darren Giddings and Kate O’Farrell for Common Ground; published by Hodder & Stoughton, 2006; £30; 512 pp; numerous black & white line drawings.